In the next 16 days I have three exciting speaking engagements lined up, and I would like to bring them up to your attention today. Description: After a successful speaking appearance at the DC Chapter of the American Marketing Association (in front of associations and non-profits) in May of this year, I have been invited to speak on a similar subject in front of businesses at the Baltimore Chapter of AMA. We’ll start from the basics, and walk right through the building, launch and management of an affiliate program that sells. 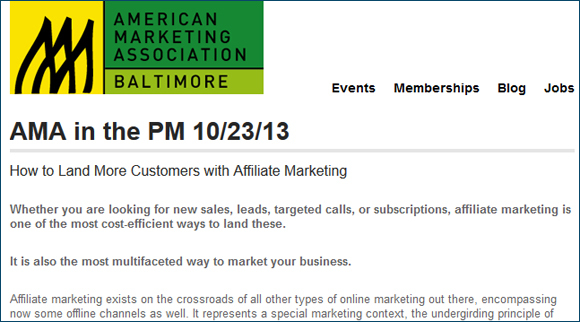 More at AMA Baltimore website. My award-winning “Affiliate Program Management: An Hour a Day” will be given away for good questions. Description: This will be my first time in Madrid, and firs time in Spain. This will also be the first time that OMExpo is running their OMWeeks (in Madrid in the beginning of the month, and in Barcelona at the end of November). 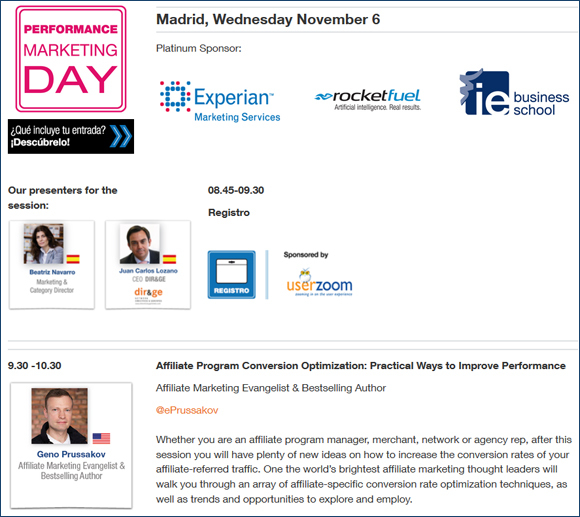 I am honored to have been invited to keynote their first-ever Performance Marketing Day where I will share my practical ideas on how to increase the conversion rates of your affiliate-referred traffic. Learn more about it here, and hope to see you there. The full list of my past and upcoming speaking appearances may be viewed here. If you’d like me to speak in front of your audience, drop me a line today. 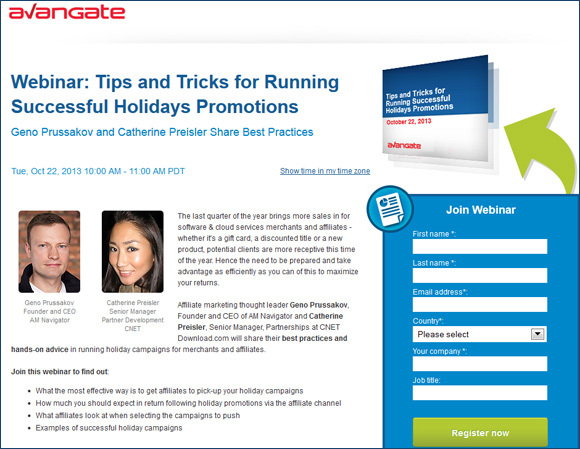 Geno Prussakov on How Does Esurance’s Social ROI (On $1.5 Million Spend) Stack Up? Adam Dukes on How Does Esurance’s Social ROI (On $1.5 Million Spend) Stack Up?